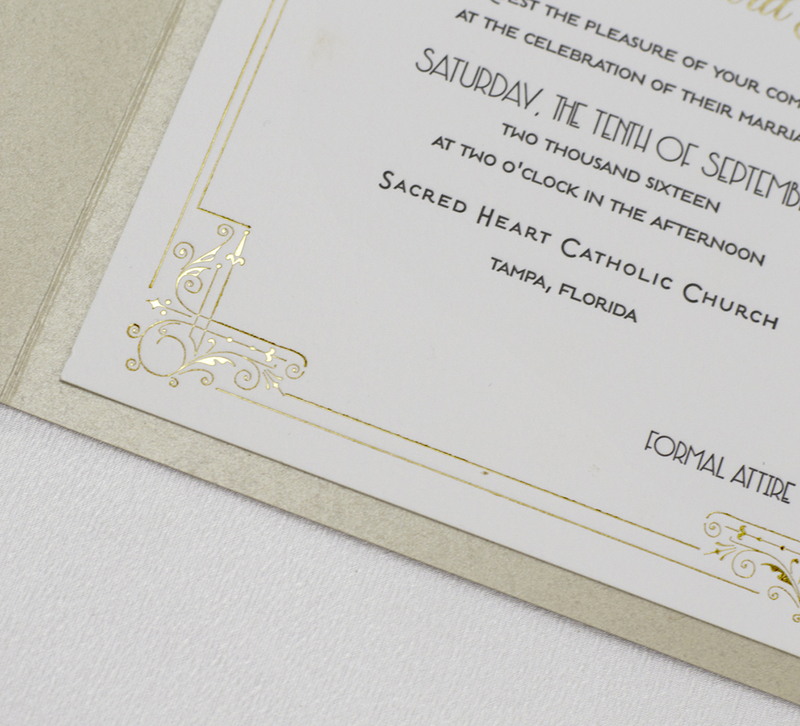 Mary & Jack exchanged their vows in on the oldest church in Tampa, the Sacred Heart Catholic Church followed by an elegant reception at The Vinoy Renaissance, a pristine resort nestled in our beautiful city of Saint Petersburg Florida and overlooking the Tampa Bay waters. 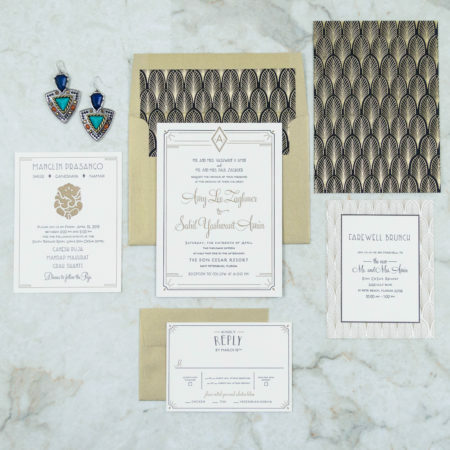 This stunning resort opened at the height of the Gatsby era, and this couple wanted to incorporate the iconic elements of the roaring 20’s while keeping a classy a clean look. 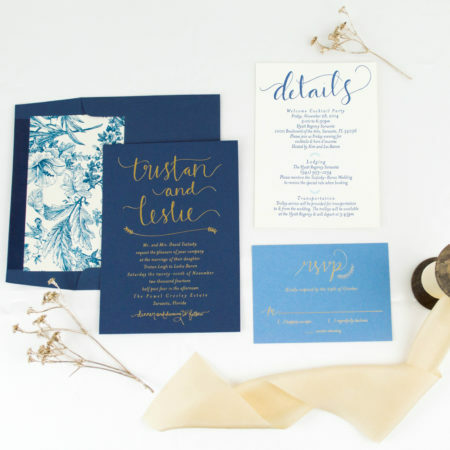 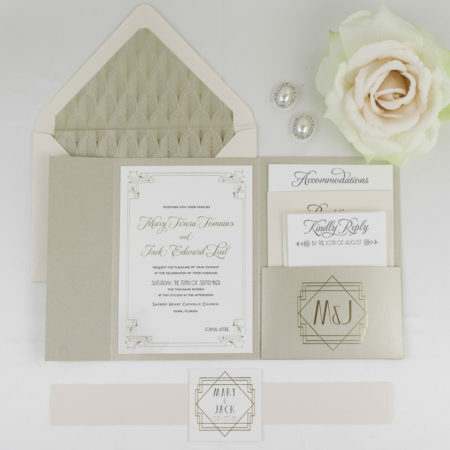 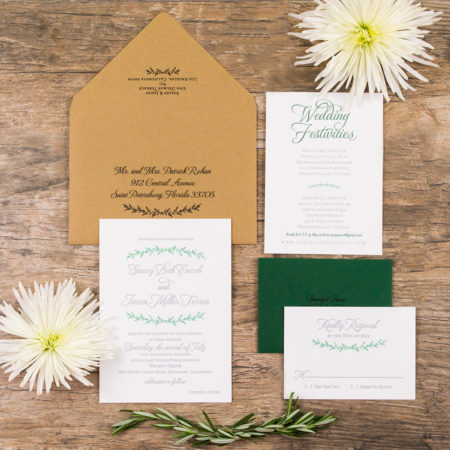 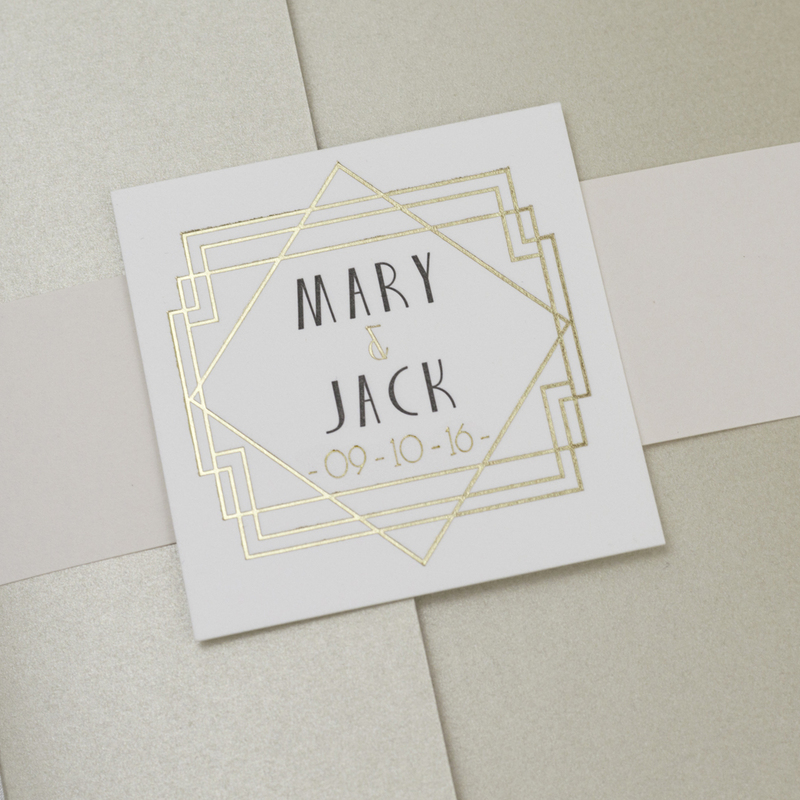 To bring their concept to life, we designed a simple, yet elegant Deco motif to display on the invitations and created a custom monogram to display on the custom made pocket-fold and belly band tag. 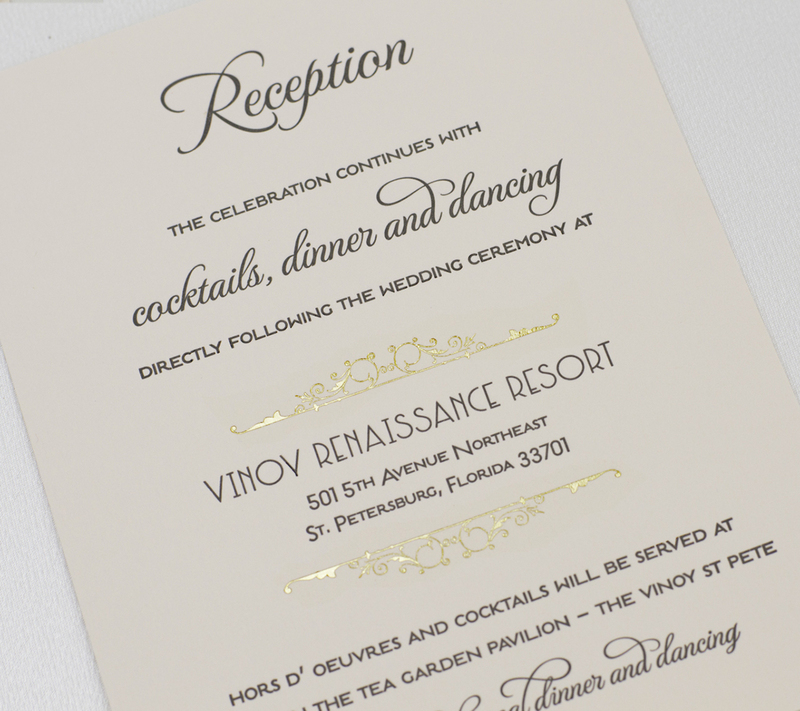 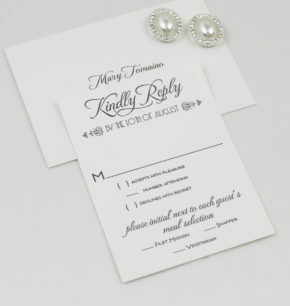 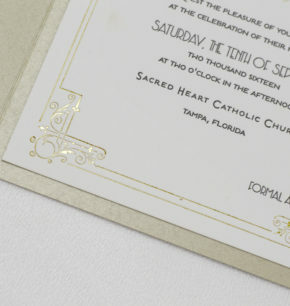 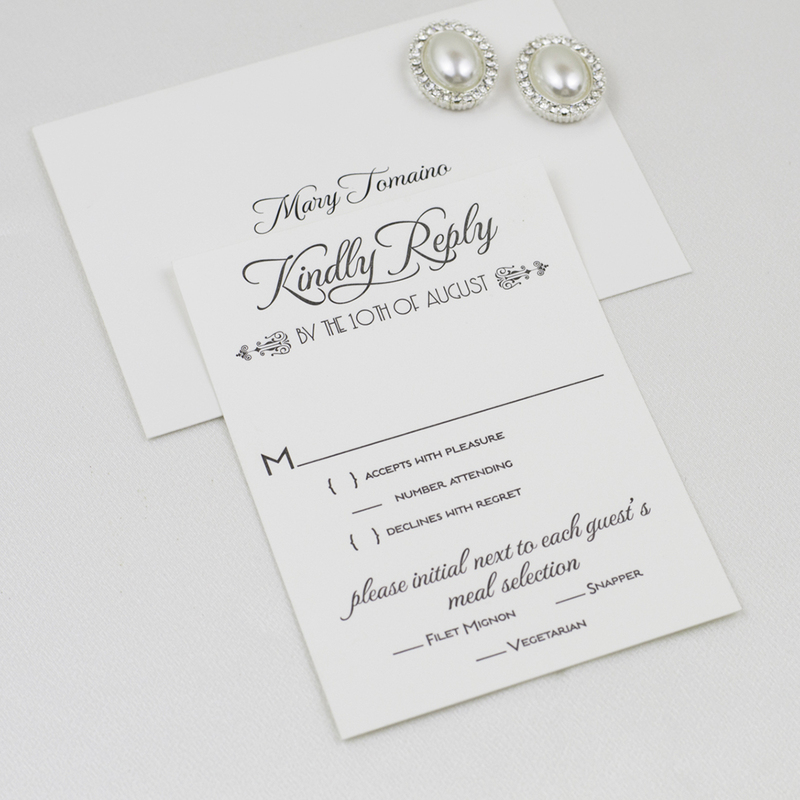 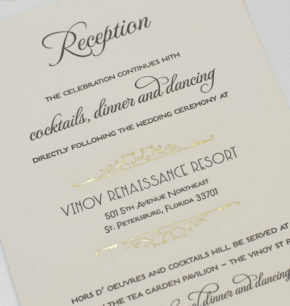 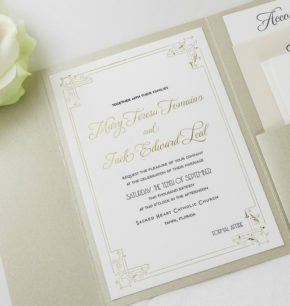 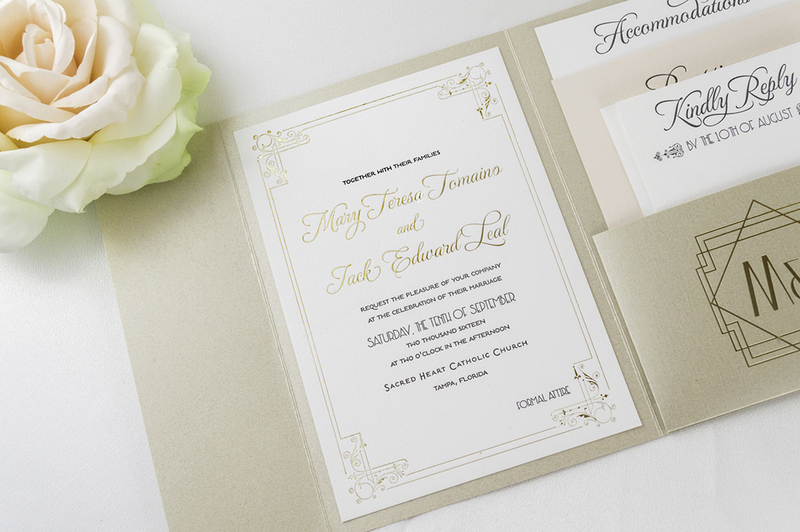 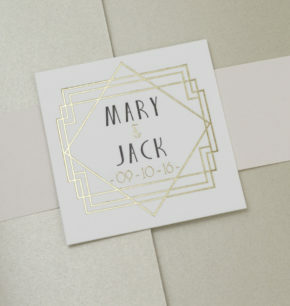 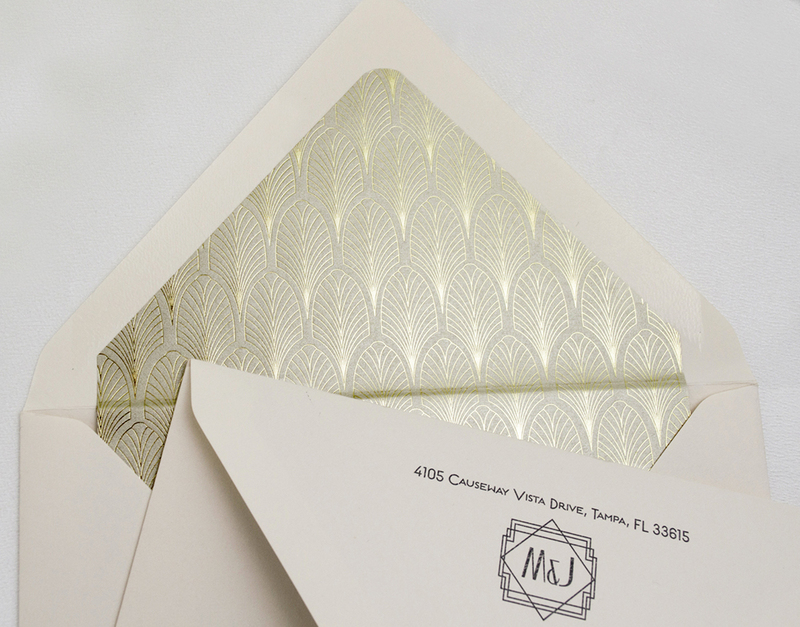 To accentuate the 1920’s look, we created an intricate patterned design for the envelope liners. 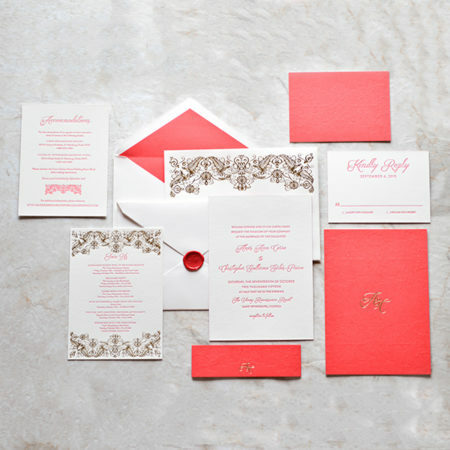 To incorporate the wedding colors, we printed the reception cards on a blush paper stock and paired each invitation suite with blush envelopes. 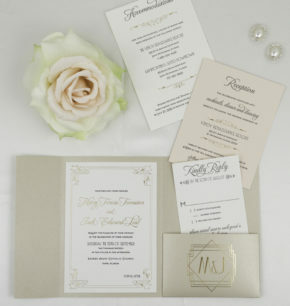 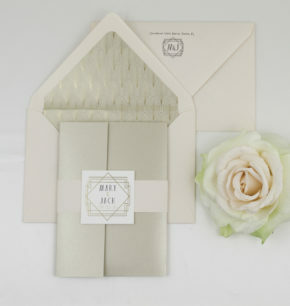 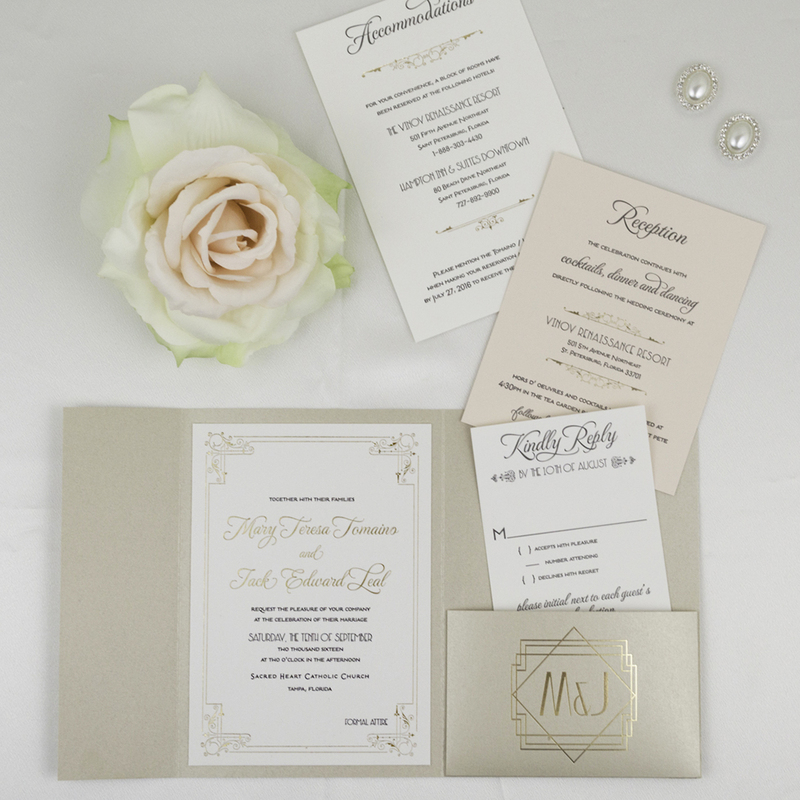 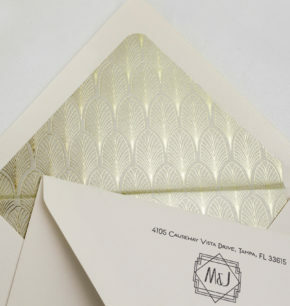 As the finishing touches, we added gold foil touches throughout the suite including the envelope liners.